Vancouver, British Columbia – January 17, 2019 – Zenabis Global Inc. (“Zenabis”) is pleased to announce that they have partnered with PEI Cannabis to supply adult-use cannabis throughout the province. Zenabis will sell under their premium Namaste brand. Namaste’s products include dried flower, milled cannabis, and pre-rolls. The Prince Edward Island Cannabis Management Corporation oversees the operation of four cannabis retail locations and an e-commerce platform. Zenabis expects to start supplying PEI with adult-use cannabis in February 2019 to help meet recreational adult-use distribution needs which both parties expect to increase as product demand grows and shifts into new categories when and as permitted by applicable laws, such as edibles (including beverages), and concentrates (including in cartridges). On January 11, 2019, Zenabis also received approval for two additional flower rooms and 13 other rooms for cannabis activities. As of January 17, 2019, Zenabis has secured purchase orders from government and third-party retailers/distributors in New Brunswick, Nova Scotia, British Columbia, Saskatchewan, and the Yukon Territory. 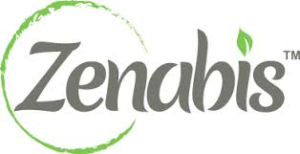 Zenabis is a significant Licensed Producer of medical and recreational cannabis, and employs staff coast-to-coast, across facilities in Atholville, New Brunswick; Delta and Langley, B.C. ; and Stellarton, Nova Scotia. In addition to gaining technologically advanced knowledge of plant propagation, the recent addition of state of the art greenhouses in Langley provides Zenabis with 3.5 million square feet of land and premises that can, upon full conversion, be dedicated to production space. Once all facilities have been fully built out, Zenabis will own, and have access to, 660,000 square feet of high quality indoor cannabis production space, as well as 2.1 million square feet of greenhouse space at its Langley facility (an additional 700,000 square feet of greenhouse space will be used to continue the existing propagation business, to be converted at such a time that is beneficial to the strategic position of the company), strategically positioned on Canada’s coasts. These facilities have the design capacity to yield 479,700 kg of dried cannabis annually, for both national and international market distribution. The Zenabis brand name is used among the medical space, while Namaste is used to service the recreational market. The management team at Zenabis has significant experience in agriculture, technology, pharmaceutical sales, consumer packaged goods, international distribution and brand marketing. Leadership is backed by the expertise of a Chief Growing Officer, a Chief Science Officer and Chief Medical Officer. As evidenced by letters of intent with strategic partners, and purchase orders with governments and distribution partners, Zenabis has been proven as a trusted and innovative cannabis front-runner. This news release contains statements that may constitute “forward-looking information” within the meaning of applicable Canadian securities legislation. Forward-looking information may include, among others, statements regarding the future plans, costs, objectives or performance of Zenabis, or the assumptions underlying any of the foregoing. 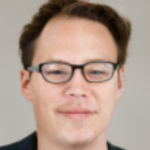 In this news release, words such as “may”, “would”, “could”, “will”, “likely”, “believe”, “expect”, “anticipate”, “intend”, “plan”, “estimate” and similar words and the negative form thereof are used to identify forward-looking statements. No assurance can be given that any events anticipated by the forward-looking information will transpire or occur, including supply commencing by February 2019, as currently expected. Forward-looking information is based on information available at the time and/or management’s good-faith belief with respect to future events and are subject to known or unknown risks, uncertainties, assumptions and other unpredictable factors, many of which are beyond Zenabis’ control. These risks, uncertainties and assumptions include, but are not limited to, those described Zenabis Management Information Circular dated November 23, 2018, a copy of which is available on SEDAR at www.sedar.com, and could cause actual events or results to differ materially from those projected in any forward-looking statements. Furthermore, any forward looking information with respect to available space for cannabis production is subject to the qualification that management of Zenabis may decide not to use all available space for cannabis production, and the assumptions that any construction or conversion would not be cost prohibitive, required permits will be obtained and the labour, materials and equipment necessary to complete such construction or conversion will be available. Accordingly, readers should not place undue reliance on the forward-looking statements and information contained in this news release. Zenabis does not intend, nor undertake any obligation, to update or revise any forward-looking information contained in this news release to reflect subsequent information, events or circumstances or otherwise, except if required by applicable laws. Investor Relations, Sun Pharm Investments Ltd.